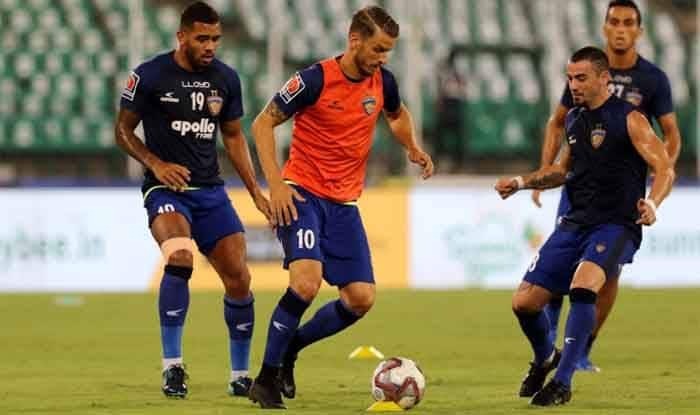 Indian Super League side Chennaiyin will take to the field against Mumbai City in the Indian Super Cup round-of-16 tie at the Kalinga Stadium in Bhubaneshwar on Friday. Following a lowly tournament in the Indian Super League (ISL), Chennaiyin FC will look to make amends in the Super Cup tournament when they take to the field against their fellow league outfit Mumbai City FC in the round-of-16 tie at the Kalinga Stadium in Bhubaneshwar on Friday. The tournament has been marred with teams pulling out of it due to the uncertainty of the Indian Super League and I-League merging. Mohun Bagan, East Bengal are the notable names among the eight revolting clubs so far. Teams from both Indian Super League and I-League compete in the club knockout tournament, Super Cup which is conducted by the AIFF. But eight I-League clubs, including Mohun Bagan and new champions Chennai City FC, had formed an alliance and decided to withdraw from the competition citing AIFF’s “unfair treatment”. Minerva Punjab, Aizawl FC and Gokulam Kerala had not turned up in the qualifying round matches, played in Bhubaneswar on March 15 and 16. I-League winners Chennai are expected to take part due to their AFC commitments, which needs AIFF clearance. Coming to Friday tie, former champions Chennaiyin finished at the bottom of the table whereas the Islanders made it to the semi-finals in the recently concluded ISL. At the pre-match press conference, Chennaiyin boss John Gregory said, “Yes, they (Islanders) have an advantage because they had a good season. But we still have a lot to play for, being involved in two Cup competitions. We’re treating this competition seriously and want to do well,” he said. Gregory, however, did feel his players were confident going into the match, thanks to their progression in the AFC Cup. “Yes, it has given us good confidence. Jeje Lalpekhlua has had a difficult season along with the rest of us. But he scored in the Colombo game. He scored the match-winner. That’s put a big smile on his face. On the training ground, the players have been excellent, working very hard,” he added. “This time last year we weren’t that interested because we had just won the Hero ISL. We’ve been away from home for a long season last year, but we won the championship. So, we were in a much happier frame of mind. But this year, we haven’t had such a good Hero ISL season. We still want to have this opportunity in the Super Cup, to have a go and try to win it,” Gregory further said. The Englishman also commented on the aspiration within the team’s ranks to pull off a successful Super Cup adventure. “Yes, I think so. Its been tough. Greg (Gregory Nelson) was part of the Championship winning team last year. We’ve not enjoyed this season. Its been tough for us. All of us who were here 12 months ago know what it was like, know the feeling that we had within the squad having had a great season. We really enjoyed last year. It was a lot of fun, lot of success, lot of attention. To have a season like this year has been a big disappointment for us. We are a lot more motivated at this stage of the season wanting to be successful in the Super Cup,” he said. On the Chennaiyin squad, the Portuguese said: “(They are) Very good team with very good players. They made a season no one was expecting to be like it was. They have good Indian and foreign players. We are not expecting an easy game. We respect this competition and Chennai a lot. We want to do well and to go as far as possible in this competition,” he said.